Lock in a great price for Family House Oreha – rated 8.6 by recent guests! Amazing staff and food for such a cheap price. Half-board is really really worth it. 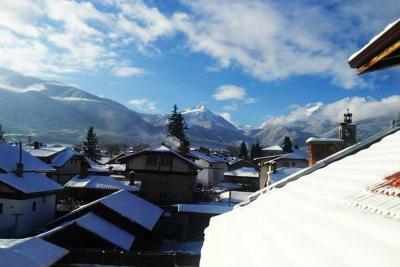 The hotel is located in the center of the town, 15 mins walk from gondola ski lift. 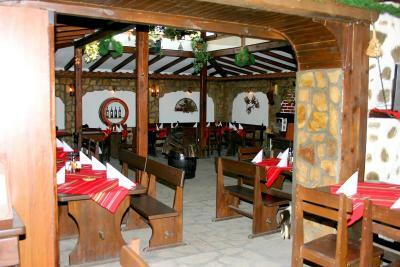 Fantastic location in the center of Bansko very decent tavern with good prices in the property comfy and warm rooms i parked the car and took it again when we left. Everything was nearby!! Polite and warm owner definetely staying again!!! 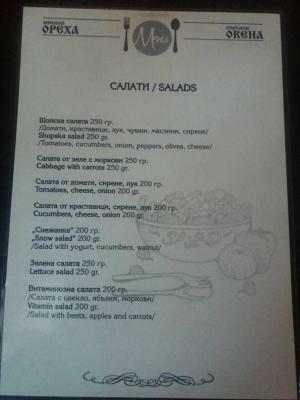 The owner of the hotel speaks very well Russian. He was very helpful and friendly. We asked for an earlier breakfast and he happily served us everyday at 8AM. 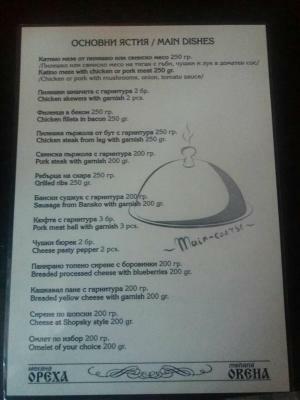 Big portions, food was traditional and very tasty, but very oily, but I guess that's how Bulgarian cuisine is. If you prefer to eat out, there are plenty of choices, just a few minutes away from Family House Oreha. Location was brilliant. Apartment was very spacious. Friendly staff. Lovely view from the balcony. Friendly staff, lovely location in the old town. Very good value for money as we had a living room as well as a bedroom. Rooms were very large too. The room was very comfortable, It was warm and in a nice area. 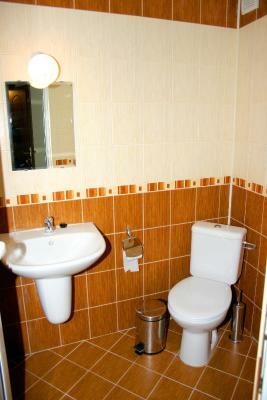 It's a very well located, well priced, comfortable and clean hotel. I particularly liked the restaurant manager, George, who recommended fantastic food and was a genuinely good guy. I'd definitely stay here again and would recommend it to others. Location, half board offerings, size of rooms, beds. The best location! 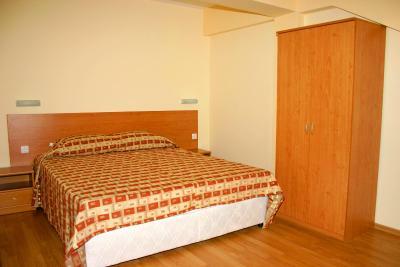 Very comfortable rooms, really clean and warm! Friendly staff and nice prices! Also restaurant on the ground floor! I recommend this hotel for sure! Family House Oreha This rating is a reflection of how the property compares to the industry standard when it comes to price, facilities and services available. It's based on a self-evaluation by the property. Use this rating to help choose your stay! 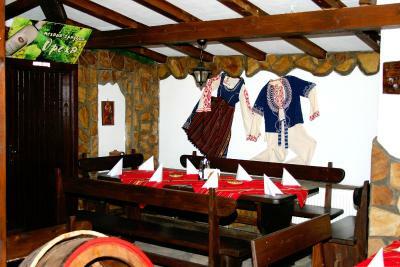 Family House Oreha is centrally located in Bansko, 150 feet from the old town and 0.6 mi from the local ski elevators. Free transport to the ski elevators can be arranged upon request. 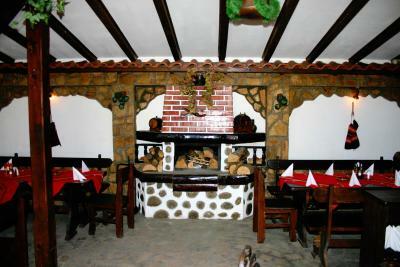 Breakfast is served each morning in the property’s traditionally decorated tavern. All units at House Oreha are spacious and have a private bathroom and cable TV. Several have a separate living room and bedroom, and some have a balcony and kitchen. Wi-Fi is available free of charge. 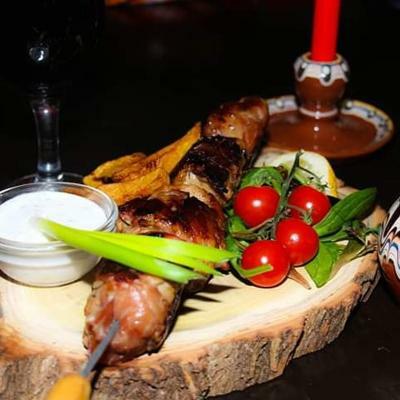 The property’s restaurant serves traditional Bulgarian cuisine which can be enjoyed indoors around an open stone fireplace, or outdoors on the terrace which overlooks the children’s playground. The playground has a climbing frame, swings and a slide. Ski school classes are available nearby against a surcharge and can be arranged by House Oreha. The property also offers laundry services. Sveta Troitsa Church is 50 feet away. When would you like to stay at Family House Oreha? These spacious suites have a separate bedroom and living room with a sofa bed. A balcony, bathroom and cable TV are also featured. These spacious apartments have 2 bedrooms. 1 has 2 single beds and a sofa bed. The other has a double bed with access to a balcony. A kitchen, dining area, bathroom and cable TV are also featured. 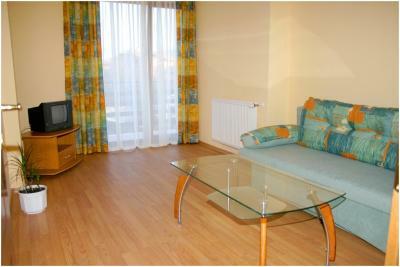 A living room with a sofa bed for 1 is located on the 1st floor of these spacious suites. The second floor has a bedroom and bathroom. Cable TV is also featured. 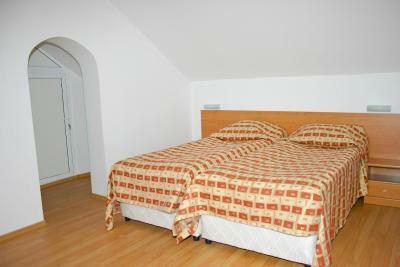 These spacious rooms are light and have parquet or carpeted floors, a private bathroom, and cable TV. House Rules Family House Oreha takes special requests – add in the next step! Family House Oreha accepts these cards and reserves the right to temporarily hold an amount prior to arrival. If the main purpose of your trip is skiing, one way walk to the Gondola lift will take you up to 20 minutes. 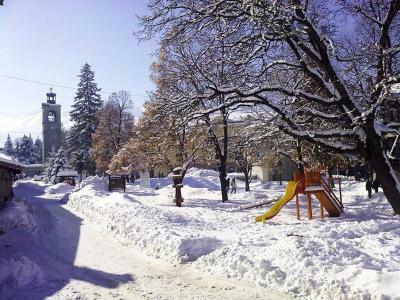 The hotel is situated in the very middle of the city of Bansko, however it might not be the best choice for a skiing vacation. The walls are a bit thin for a light sleeper. Mattress and pillows did not have protectors. The pillows had large yellow stains. (Please supply pillow and mattress protectors for good hygiene!) Bathroom facilities were old but functional. No kettle and broken coffee pot. 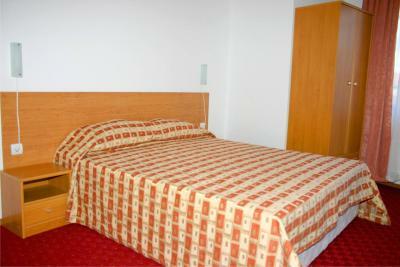 Rooms are in need of a proper cleaning, towels and sheets should be changed more often. Kind host and staff, food was terrific, location amazing - all in all, a great ski trip. Great location , very friendly staff & host! Breakfast was not worth it. It had no variety at all. It was an omelette. Nothing, I can't think of anything to fault it. Bathroom should be better and without a weird smell. 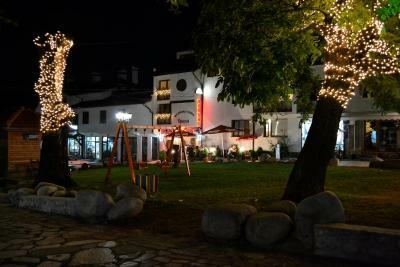 With some small touches this could be the perfect place to stay in Bansko.